Crystal Palace welcome Arsenal to Selhurst Park on Thursday evening, with the Eagles hoping to stretch their unbeaten run to nine games in the league. Don't miss our C. Palace vs Arsenal betting preview with predictions, betting tips, probable lineups, team news, highest odds, bookmakers promotions and no deposit free bets on this clash and the upcoming ones! Crystal Palace were seriously in trouble after losing their first seven Premier League matches. Anyway, recent wins over Stoke City, Watford and Leicester City have helped lift Roy Hodgson’s side out of the relegation mire. They have a two point cushion on the drop zone. The Eagles are undefeated in their last 8 matches and are also unbeaten in their last six at Selhurst Park, a run that includes a 2-1 win over Chelsea back in October. Hodgson's men have scored two goals in each of the last six home games, which is astounding considering they failed to score a single goal in their first seven league outings this season. Roy Hodgson looks set to be without five injured players - Connor Wickham, Damien Delaney, Mamadou Sakho, Timothy Fosuh-Mensah and Joel Ward - and is likely to stick with much of the same starting XI. 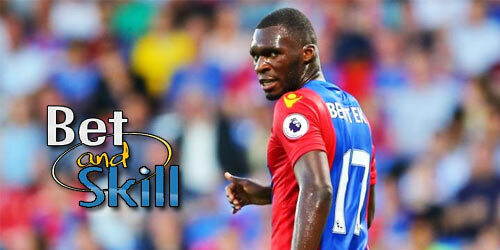 Christian Benteke returns from suspension for the home side and should slot in up front, partnered by Wilfried Zaha. That will see Andros Townsend move back to the right wing, with James McArthur expected to drop to the bench. Arsenal did well to come back from 2-0 down against Liverpool to draw 3-3 on Friday andenter this match on the back of a four match unbeaten run in Premier League following draws with Southampton, West Ham and Liverpool along with an unconvincing 1-0 home victory over Newcastle. They have a miserable away record in the top-flight this season as they have managed just two wins and nine goals on their travels. Wenger's side are sixth in the table and appear to be locked in a battle with Liverpool and Tottenham to finish in fourth position. The Gunners have struggled at Selhurst Park in recent games and were thrashed 3-0 on their last visit. Nacho Monreal was forced off with an ankle injury last time out and is a doubt here. He was replaced by Shkodran Mustafi on Friday night and the German could now be restored to the starting XI, with Hector Bellerin and Ainsley Maitland-Niles likely to retain their starting berth as full backs. Jack Wilshere and Granit Xhaka may again start at the base of midfield in the 4-2-3-1 formation with Francis Coquelin and Mohamed Elneny main alternatives. Danny Welbeck may rotate with Alex Iwobi in the front line, where Alexis Sanchez, Mesut Ozil and Alexandre Lacazette should all start. Aaron Ramsey and Olivier Giroud remain out, while Santi Cazorla is a long-term absentee. "Crystal Palace vs Arsenal predictions, betting tips, lineups and odds (Premier League - 28.12.2017)"